In August, Molsom & Associates found out that they had been shortlisted for the inaugural National SightCare Awards 2018 “Moment Of The Year”. The nomination recognised the outstanding contribution Molsom & Associates have made to the local community and their clinical excellence in delivering first class eyecare and customer service. After optometrist Ian Price recognised a life threatening eye condition, the efforts Molsom & Associates made to help raise awareness of the condition and the national patient support charity, OcuMel UK, were enough to secure being shortlisted. The awards showcase the best independent optical businesses from the length and breadth of the UK, offering national recognition for those who have made the biggest impression over the last 12 months. Expert independent business owner judges selected the winners in 5 categories. The category winners were to be announced and presented with their awards at the SightCare Business and Networking Conference on 17th September in Telford. Six of the team from Molsom & Associates attended the Sight Care Conference on Monday 17th September with added excitement. With the theme of “Think Different”, they enjoyed a busy day of business and technical courses with top speakers from other industries. Kevin Byrne (founder of CheckaTrade) and Josephine Fairley (founder of Green & Blacks chocolate) were on hand to offer pearls of wisdom. The day flew by, and at the Award Ceremony finale, the Molsom team were delighted to be presented with the Award. 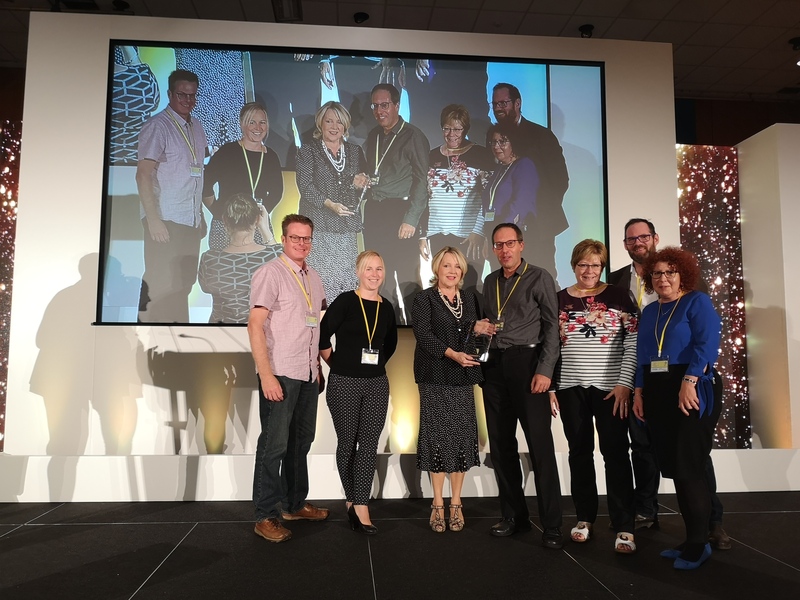 “ We are really proud to be presented with this Award, it rewards everyone in the team for their great efforts helping to deliver great eyecare to the Spalding area. The “Moment of the Year” was our recent story shared by our lovely patient Georgina. Ian Price originally recognised the life threatening condition, but he couldn’t do the job he does without the support and dedication of the whole team. We highlighted the story originally to help raise awareness of the importance of regular eye examinations and to share Georgina’s support received from the charity OcuMel UK. We never expected this wonderful award! I would also re enforce that with National Eye Health Week this week, please ensure you and your loved ones have regular eye examinations as we identify more than just whether you need spectacles. I would also like to thank Georgina for allowing us to share her experience, hopefully after reading her story it will have encouraged the wider community for the need of regular eye examinations. The National Award will now take pride of place in front of the practice. 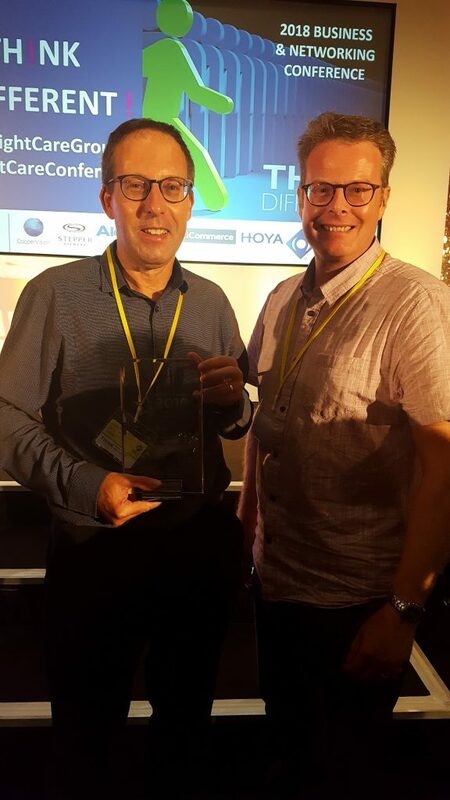 Andrew Molsom and Ian Price with the award for Moment of the year 2018.